DU PONT DUVIVIER, JOSEPH (he signed and was known as the Chevalier Duvivier), officer in the colonial regular troops; baptized 12 Nov. 1707 at Port-Royal (Annapolis Royal, N.S. ), son of François Du Pont* Duvivier and Marie Mius d’Entremont de Pobomcoup; d. 24 Nov. 1760. 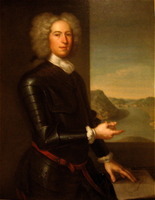 Following the death of their father in 1714, Joseph Du Pont Duvivier, his elder brother François, and his younger brother Michel Du Pont de Gourville all entered the military service at Île Royale (Cape Breton Island). François enrolled in 1716 and then went temporarily to France; Joseph and Michel remained in Louisbourg, where they enlisted in 1717. That year the French authorities had expressly forbidden the colonial governor to enrol officers’ sons who had not reached 14, but an exception was made for Joseph and Michel. It was not until 1732, however, when Marine cadets were formally instituted, that Joseph was commissioned second ensign in the newly formed company of Michel de Gannes* de Falaise; in 1738, as first ensign, he was transferred to the company of Pierre-Paul d’Espiet de La Plagne. Although it was during these years that his brothers began to build a commercial empire based partially on official patronage, no record links Joseph to their activities. He may have had a private, non-notarial agreement with them, but it is significant that in 1738 he was not mentioned in the public petition of Louisbourg master fishermen and merchants that condemned the practices of his brothers. In the early 1740s Joseph joined his uncle Louis Du Pont Duchambon on Île Saint-Jean (Prince Edward Island). On 6 Aug. 1744, along with two cousins (Duchambon’s sons), another ensign, and 18 soldiers, he took part in his brother François’s expedition against Annapolis Royal. During the siege Joseph acted as emissary to the garrison commander, Paul Mascarene*. Joseph later returned to Île Saint-Jean and was left in command of a token detachment of 20 soldiers at Saint-Pierre (St Peters). He moved this command to Port-La-Joie (Fort Amherst). In May 1745, when forces under William Pepperrell * and Peter Warren* were moving against Louisbourg, two American privateers attacked Port-La-Joie and forced its defenders to retreat up the Rivière du Nord-Est (Hillsborough River). Enlisting the support of local residents and Indians, Joseph repulsed the invaders, inflicting considerable casualties. Île Saint-Jean was included in the terms of capitulation for Louisbourg and shortly after Joseph and his men sailed for Quebec with their prisoners, arriving there on 18 Aug. 1745. In April 1746 Governor Beauharnois* ordered Joseph to go to the lower Saint John River (N. B.) in advance of the expedition of Jean-Baptiste-Nicolas-Roch de Ramezay. His mission was to receive supplies from Quebec in the absence of Father Charles Germain and distribute them to Indian allies. The following month he was ordered to Ramezay’s headquarters at Beaubassin (near Amherst, N.S.) with any Indians he could muster. 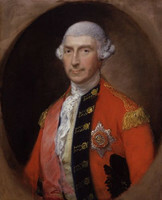 His subsequent movements are unknown, but he was promoted lieutenant in 1747. Joseph and his brother Michel returned to Louisbourg after the French reoccupation in 1749, became captains in 1750, and lived there unobtrusively. On 24 Oct. 1750 Joseph contracted an advantageous marriage with his cousin Marie-Josephe Le Borgne de Belle-Isle, widow of Jacques-Philippe-Urbain Rondeau*, the former agent of the treasurers general of the Marine. Only one of their two children survived infancy. 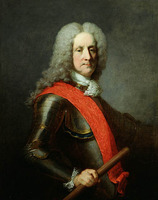 Duvivier served in the garrison of Île Royale until the fall of Louisbourg to Amherst in 1758; he did not distinguish himself during the siege. Returning to France, Joseph and Michel were awarded the cross of Saint-Louis in 1760. Later that year Joseph was posted to captain the third of four companies of reinforcements sent to Canada under the command of François-Gabriel d’Angeac. This expedition was forced by the British navy to seek refuge at the mouth of the Restigouche River, and in the ensuing engagement Joseph served bravely until d’Angeac surrendered. On the return voyage to France, he died of smallpox on 24 Nov. 1760. AN, Col., B, 39, ff.287–95v; 66, f.14 1/2; 83, f.19; C11A 83, ff.173, 177v; C11B, 20, f.304; 26, ff.70–76; D2C, 47, f.483; 48, ff.24, 180, 374–77v; E, 169 (dossier Duvivier [François Du Pont Duvivier]), “Journal conténant le detail de la conduite qui a tenu Monsieur Dupont Duvivier capitaine a l’isle Royalle . . .”; Section Outre-mer, G1, 408/1, ff.121–22; 408/2, ff.65–66-, 409/2, f.42; G2, 209, dossier 509; G3, 2041/1, 2 nov. 1750, 4 nov. 1752; 2042, 21 juin 1754. PANS, RG 1, 26 (mfm. at PAC). Knox, Hist. journal (Doughty), III, 369, 375, 389–90. NYCD (O’Callaghan and Fernow), X, 40, 43. Ægidius Fauteux, “Les Du Pont de l’Acadie,” BRH, XLVI (1940), 232. T. A. Crowley arid Bernard Pothier, “DU PONT DUVIVIER, JOSEPH,” in Dictionary of Canadian Biography, vol. 4, University of Toronto/Université Laval, 2003–, accessed April 20, 2019, http://www.biographi.ca/en/bio/du_pont_duvivier_joseph_4E.html.